It is amazing that in just three years of living overseas so much has changed in the USA with respect to the Gluten Free market. I knew the word was getting out there and that many more people have been diagnosed with this ever growing Celiac condition but I didn't realize the quantity of products, restaurants and bakery's that are everywhere. 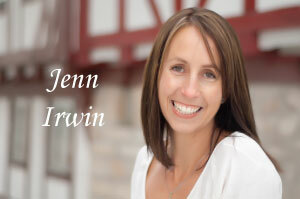 Those that are newly diagnosed have many more resources and guidance on changing their lifestyle. I was also unsure how aware Newport and Middletown were going to be but was pleasantly surprised! 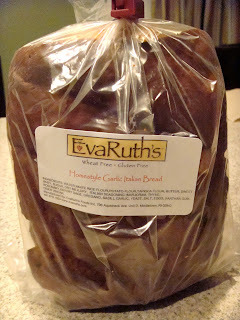 Not only did I find that almost all the grocery stores I have visited have a large selection of gluten free organic products but that Middletown has there very own all gluten free specialty bakery, EvaRuth's! One of my best friends flew back from Germany with the boys and I and drove us to Newport and along our drive she pointed out all the great places to shop and told me about the gluten free bakery in Middletown. We were too tired and jet lagged to stop in but the next morning she took me there and I ran in to see what they had to offer. There were so many choices that it made it very difficult to decide so I did a sampling... pumpkin muffins for the boys, Lemon cupcakes for my girlfriends, Granola for me and a loaf of Homemade Garlic Italian Bread for my youngest (the bread lover). My boys are big fans of my pumpkin muffins but after watching them devour EvaRuth's gluten free Pumpkin muffins I"m afraid they won't want to eat mine again... both good and bad. Now that I finally have a kitchen I will try baking them and see what happens. The following week after my first visit to EvaRuth's I picked my oldest up from school and had promised him that we would go to the bakery and pick out a pumpkin muffin but in my fog I didn't realize that they are closed on Mondays. I felt horrible when we drove up and I had to tell him that the store was closed. Huge tears welled up in his eyes as he about lost it. I had to act quickly... I remembered that the A Market, my new favorite grocery store, carries EvaRuth's products. We took a drive up to Bellevue in hopes of not letting my son down. The Market did not have pumpkin but they did have the sweet corn muffins so I thought I would give that a try. This is a very delicate situation and could backfire on me since my son is very very picky on what goes in his mouth and when he has a mind set nothing can change it. Luckily for me EvaRuth's created another outstanding muffin that got good reviews from my little ones. Pheeewwww, the day was saved. Thank you Ruth! I am looking forward to trying more of EvaRuth's delicious treats!